Product #6621 | SKU MST-140BK | 0.0 (no ratings yet) Thanks for your rating! 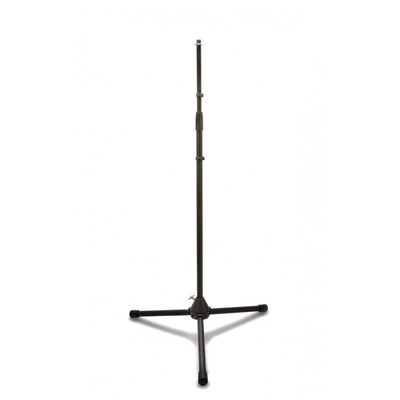 The Hosa MST-140BK Tripod Stand (Black) is height adjustable from 37 to 63-1/2". In addition, the MST-140 features Euro and American style threads, and folds for easy storage. A simple twist lets you adjust the height from 37 to 63-1/2". The tripod legs fold, minimizing your required storage space. Features Euro and American style threads.